Your next walk in a park can include a dose of poetry. 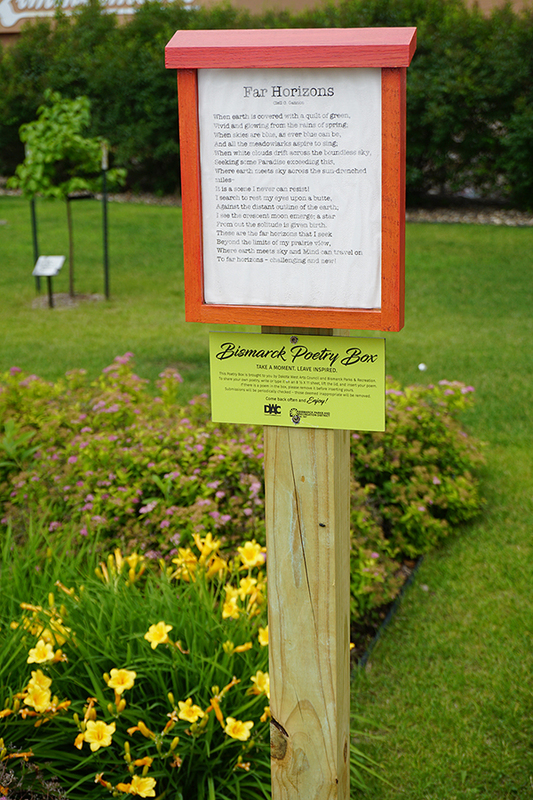 Dakota West Arts Council (DWAC) and Bismarck Parks and Recreation District (BPRD) have joined forces to create, install and fill Poetry Boxes throughout Bismarck’s parks. The goal of the Poetry Boxes is to showcase local poetry – or the sharing of a favorite poem – for all to enjoy while strolling, walking or riding through a park. The concept of the Poetry Box is fairly simple, and a sign on each box directs the reader to “Take A Moment. Leave Inspired.” Interested folks can share their own poetry or a favorite poem by writing or typing it on an 8 ½ by 11” piece of paper, lifting the Poetry Box lid, and inserting the poem. If there is already a poem in the box, please remove it before inserting a new one. Submissions will be periodically checked, and those deemed inappropriate will be removed. There are no deadlines or suggested length of time that a poem will be in a Poetry Box. The Poetry Boxes are self-contained and monitored by anyone who passes by. The Poetry Boxes are located in the following parks. 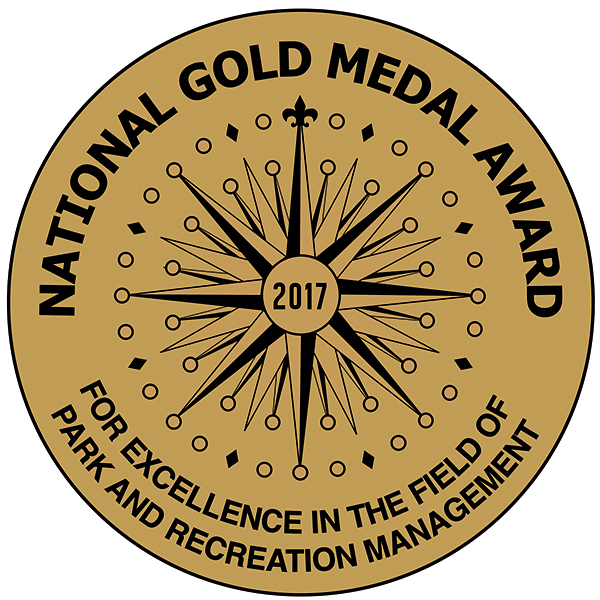 Where in each park? Well, Part of the fun is finding the Poetry Box in each park. Poetry Boxes, also known as poetry poles or posts, are appearing in public spaces all across the country; Portland, OR, St. Tammany Parish, LA and Salt Lake City, UT. Participants should check to make sure they have permission to submit poetry’s work. Many poems are in the public domain, so if you want to insert a Shakespeare sonnet, please do. More recent works should have permission, but a vast majority of the time, the poet or publisher is delighted to share the piece. Poetry Box in Peace Park.